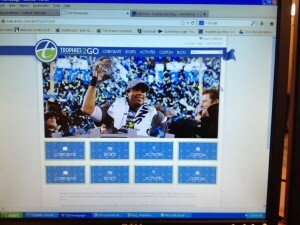 New Trophies2Go Website is Coming Soon! This entry was posted on February 4, 2014 by Jessica Anderson. Our Updated Website Is Launching In August! Technology changes, and it’s time for us to change with it. Trophies2Go is in the process of moving to a new ecommerce platform, and we’re excited to launch our new website in August 2014! Currently under development, here's a sneak peak of our new homepage. Since 2000, Trophies2Go.com has been offering high quality awards with fast production times and excellent customer service to customers across the US. 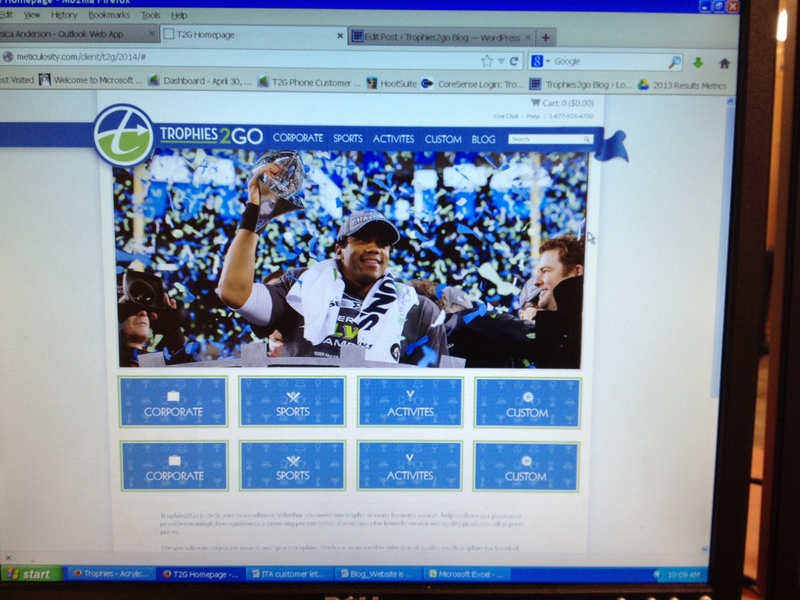 Now we are taking our web site to a whole new level! We are thrilled to be offering even better web functionality to our customers and staff. What Will Our New Website Offer? Better pictures. We will have high resolution pictures with the ability to click into the product to see higher detail. Quick ship items. Need something fast? We have lots of options! Custom products. From medals to acrylic awards featuring your logo, we will be able to make one-of-a-kind awards just for you. You dream it, we will create it! Best value. You will know which products are not only high in quality, but give you more bang for your buck. Shipping calculator. Know exactly when your awards will arrive – you choose the date. When we launch in August, you will be able to see the improvements for yourself. One thing that will stay the same is our ability to deliver exceptional awards, on-time, with outstanding customer service. If you have any suggestions for the new site, feel free to let Jeff or I know. Technology rocks!